Welcome to the VintageSaws.com Online Store! 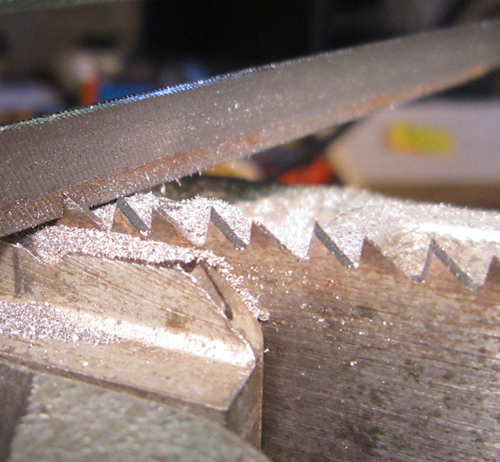 Peter did an excellent job sharpening my pre 1940 D12. To purchase items from our store, you will need to create a User Profile which is quick and easy. Simply click on the Login link in the upper left hand corner of this page. When you create your profile, pleaase consider subscribing to our newsletter which will allow you to receive sales information and product announcements. Additionally, please include a phone number. I don't think I have ever called a customer, but Fedex requires it for your package delivery. Encrypted data for Security: We use a private SSL Digital Certificate at 2048 bit strength to encrypt sensitive data transfered from you to our servers. This includes your login information (user name and password) as well as all the parts of the check out process. Look for the padlock located in the address bar to see if you are in a secure session. We take your security as seriously as we take our own. Rest easy that your credit card and other data will not be "sniffed" on the way to our server. Credit card transactions: While we still accept PayPal, we also take credit cards for payment. If you have a MasterCard, Visa, American Express or Discover you can pay easily and conveniently at check out. Please know that we do not store your credit card information. International Customers: We are happy to ship you anything in our store. Please understand that our flat rate shipping policy does not apply to international shipments. We will be in touch with what amount of additional postage is due to get your items to you. We have shipped to every continent except Antarctica! Welcome and enjoy your time here. Current Special Starting 15 Jan 2019: All our Standard Saw Filing Kits are on sale for $50 and ship for free (International Customers get $10 off actual shipping). This is $30 off the normal price. If you order two, another $10 will be refunded to your credit card after your order is processed. This is an excellent way to teach yourself to file and results in a usable saw when you are done. Price includes the saw with teeth cut to your specification, free shipping and the appropriate file with handle. An exceptional value!